Climate change, unbridled development and Western water politics are conspiring to gradually grant this wish. The reservoir has shed an average of 155 billion gallons a year over the past two decades, the result of drought-depleted river flows coupled with rising demands from powerful downstream water users. 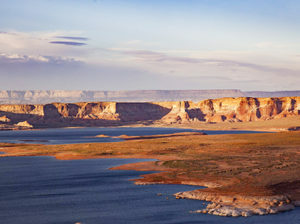 Without a change in how the Colorado River is managed, Lake Powell is headed toward becoming a “dead pool,” essentially useless as a reservoir while revealing a sandstone wonderland once thought drowned forever by humanity’s insatiable desire to bend nature to its will. 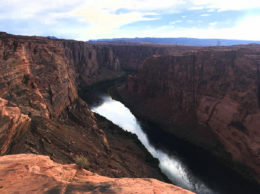 Unless water managers curb releases from Glen Canyon Dam, the lake, within a couple of years, Wockner warns, could fall below the level at which its turbines can crank out power, effectively negating a reason for the dam in the first place. 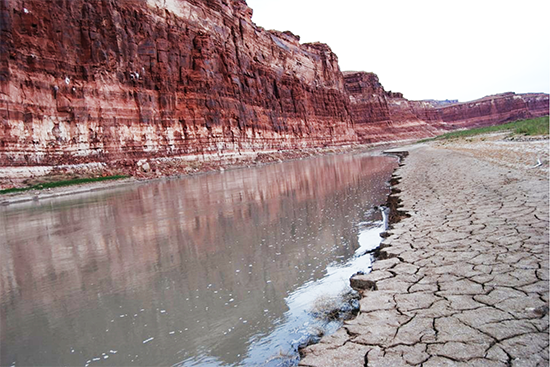 Utah water captains dispute Wockner’s dire forecast, but everyone agrees that the Colorado River is in crisis. 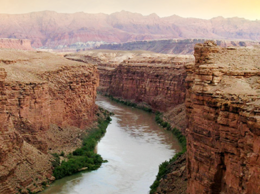 With seven Western states vying for what’s left of the Colorado River’s diminishing flows, Lake Powell and its older downstream partner, Lake Mead, are shrinking in the face of unrelenting demands on the water stored behind their mighty dams. 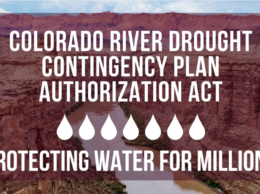 The crux of the problem is the fact that the two reservoirs’ combined storage sits below 46 percent of capacity, the lowest since Powell began filling, according to Bureau of Reclamation Commissioner Brenda Burman.